PARIS — Iridium will deorbit the last of its original satellites around the beginning of 2019, entrusting its second-generation with all network responsibilities, CEO Matt Desch said Sept. 10. In contrast to Iridium’s first low Earth orbit constellation, which launched in the late 1990s and experienced early problems, the Iridium Next satellites launched over the past year and a half have operated without incident, Desch told reporters during a press conference at World Satellite Business Week here. “Only because of our confidence in this new Iridium Next network are we confident enough that we will deboost all of the satellites by early in the first quarter of next year,” he said. McLean, Virginia-based Iridium has 65 of 75 of the Thales Alenia Space-built Iridium Next satellites in orbit, with the final 10 launching on a SpaceX Falcon 9 in November. Desch said the company has already deboosted 41 of 66 legacy communications satellites, using up their remaining fuel by lowering their orbits to catch the Earth’s atmosphere and burn up. Once satellites are deboosted, they can take around a month to re-enter Earth’s atmosphere and burn up. He estimated that 30 legacy satellites have been disposed of through this process. 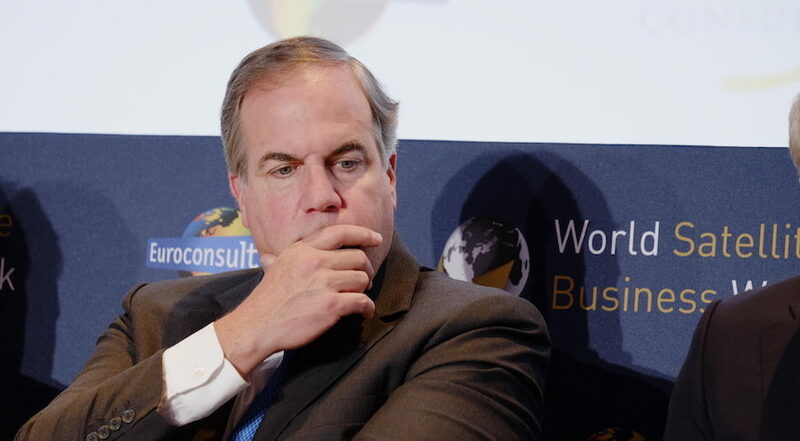 Desch said the problems Iridium had two decades ago with its first-generation constellation should serve as a reminder of the challenges new entrants face today as they seek to develop and deploy fleets of low Earth orbit satellites. “Ninety-five satellites were launched, and by definition about 33 of them failed in some way prematurely or later in life … that’s a sizable failure rate, and it makes you pause, if you will, when you look forward at some of these new networks about the kind of performance rate they are going to have,” he said. The original Iridium constellation had finished launching by the time Desch became CEO in 2006. Desch said in his view a constellation with the quality control problems of the first-generation Iridium network should have been required to halt launches until the causes of the malfunctions were identified and corrected. The same should be the case for new systems if they reach a concerning failure rate during their early days, he argued, though he didn’t detail specific criteria. If all the telecom constellations that have been proposed to U.S. regulators actually come to fruition, some 18,000 spacecraft would be added to Earth orbit in the years ahead. The large number of satellites established satellite operators and startups are proposing to build has triggered debates during the approval process, with some operators suggesting the U.S. Federal Communications Commission withhold market access for new entrants that have not sufficiently proven they won’t create dangerous amounts of space debris. “Our space is a shared resource,” Desch said.“This is not something that is [just] a business issue for that operator, it’s a business issue for the rest of this industry, as well as for manned spaceflight, as well as for space exploration.